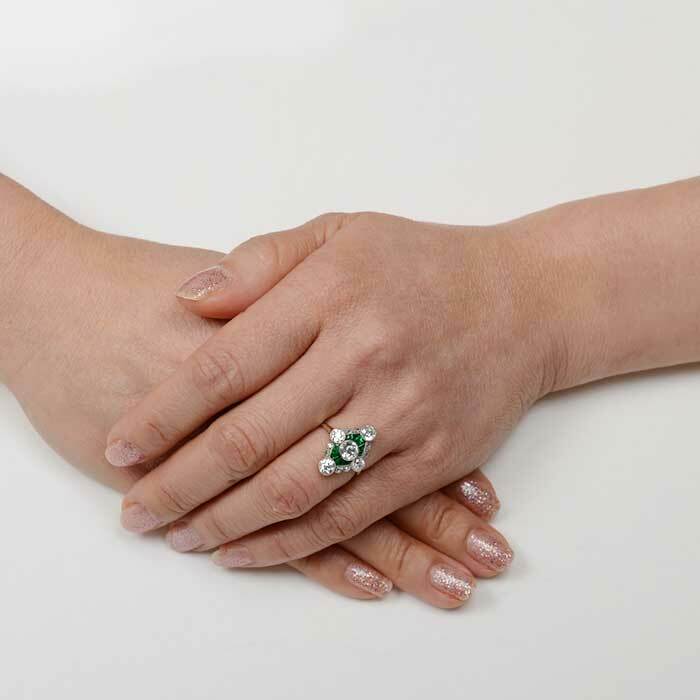 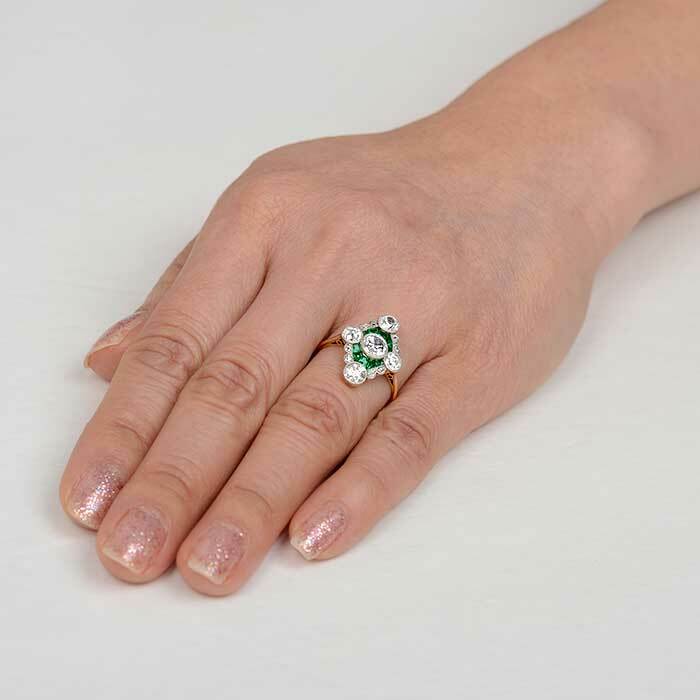 A beautiful and very rare Edwardian Era Ring, sporting high-quality calibre’ emeralds that frame the center old mine cut diamond, and additional diamonds. 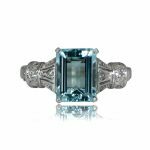 The antique diamonds have a total carat weight of 1.42 carats. 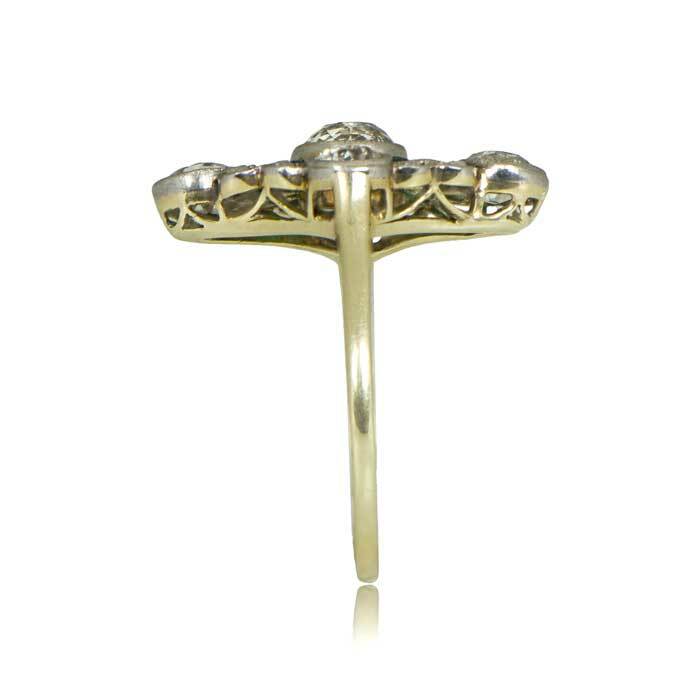 The yellow gold under-gallery mounting is adorned with openwork filigree and leads to a platinum over gallery. 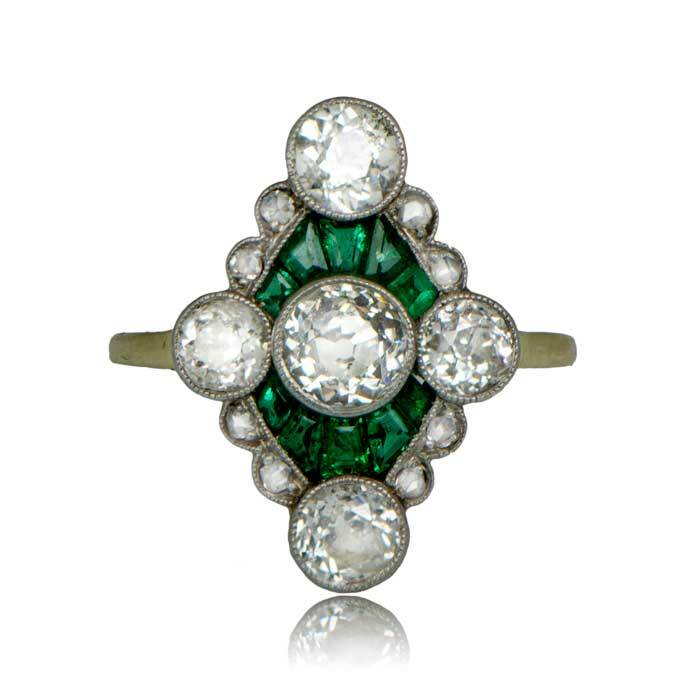 This ring was handcrafted during the Edwardian Era, circa 1905. 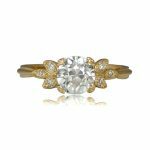 SKU: 11623 Category: Vintage Engagement Rings Tag: Elongated Engagement Rings - Contact us and request additional pictures.